Being stressed once in a while is a normal part of living. Life is all about going through the highs and the lows and coming out a better person. That’s what it means to live and to grow. However, being stressed is not a good feeling, and you want to go back to being your normal self as soon as you can. Luckily, there are a few simple actions that you can take to relieve stress. Here are some of the things you can do if you are dealing with stress. Talking to people is one of the best methods to deal with whatever is bothering you. Having someone to openly share your issues with is an important part of dealing with them. Whenever possible, make sure you do it in person, or through video calls. You can also talk to someone through voice calls or text if no other channels are possible. Sharing your experiences is a simple but effective way of relieving stress. The intent of this is to find out what you are comfortable with and what you are not. You can assess yourself mentally to find out how stress affects you on a regular basis. It is almost similar to meditation. Simply assume a comfortable sitting position with your feet on the floor, scan your body from the toe upwards to your scalp and try to find out how your body feels. Discover where you are tense and where you are relaxed. The overall effect will soothe you. Meditation is a practice that simply clears your mind. It has also been proven to reduce rumination, aid better sleep, and reduce stress. You can set ten to fifteen minutes aside on a daily basis for meditation. When you do this continuously, you can train your brain to relax and enjoy inner peace. At first, your mind may wander during meditation, but as time goes by, it becomes easier to clear and come to your mind. The effects of your efforts will be seen at this point after you have completed meditating. Instead of meditating while seated, you can walk instead, you are free to do this when you are agitated or when you find sitting difficult. Sometimes, you just need to take a moment in your busy schedule to catch a breath. It may be five minutes or more, all you need to do is assume a comfortable position, close your eyes and put your hands on your belly then inhale slowly through your nostrils, and exhale through your mouth. Pay close attention to the feeling you get when your abdomen rises and goes down. Take ten minutes off your schedule and notice how your body relates to the environment. Be aware of your surrounding. Feel the air moving around you and how your feet touch the ground. Feel the clothes on your skin. If you are walking on grass or a lawn, enjoy the texture of the grass. Notice and appreciate your own presence. Such activities make you feel less tense. Have a good time with your friends and family. You can take time off your busy schedule and have long talks with them. Hearty laughter doesn’t just relieve stress, it also lowers cortisol, which is a stress hormone in your body. It boosts endorphins, a brain chemical which boosts your mood. You can also watch a funny movie or read comics to pass time. More smiles daily will work wonders for you. 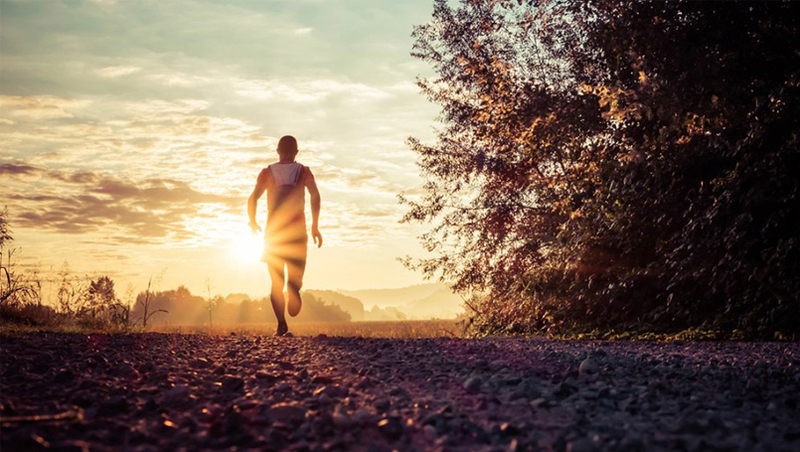 When you are feeling low or stressed, going on a run may be the best thing to relieve your mood. Long exercises can soothe your frayed nerves. Be sure to bring the right running shoes for the job. Physical activity also boosts your endorphins consequently improving your moods. Always be grateful for what you have. If possible, you can make a list of things you are thankful for. This forces you to just focus on the positive side of life. The best way to practice gratitude is by giving. You don’t have to wait for a season of giving. You can make it a habit to give out stuff. Making people smile can really be soothing. You can also take some little time out of your schedule to reflect on everything you are extremely grateful for in life. Think of the people present in your life, always by your side; the love you are blessed to receive from them, the food and health that you enjoy, the roof you are under among other nice things you are privileged to have in life. Sit for a minute with those feelings, let your brain calm and take it in. Most stress remedies are easy and within your own mind. Before reaching out for pills or some other form of medication, you first need to discover yourself and understand your own body and mind. This will always come in handy whenever you want to calm yourself down. Lena is a marketing specialist at SEOforX. She helps her company advertise its products and services and she has a thorough knowledge of developing marketing approaches for products and brands. Besides being a marketing specialist she has a special interest in financial technology. She finds Fintech fascinating and writes about how new technology is being used to improve activities in the finance sector.